A Three-Way In The East China Sea? Or are there only two ways of looking at this map? The conflict over the Senkaku/Diaoyu islands in the East China Sea illustrates a number of issues in the Asia-Pacific region. The People’s Republic of China’s expansive maritime claims is the granddaddy, but there are a number of contributing elements – from the challenges of deep-sea resource exploration to the region’s political relationships. The week before Christmas the Center for National Policy hosted a discussion at their headquarters about a recent Scholars Delegation that took “next generation policy experts and decision makers” to Taipei to meet with officials from the Republic of China, known to most of us as Taiwan. 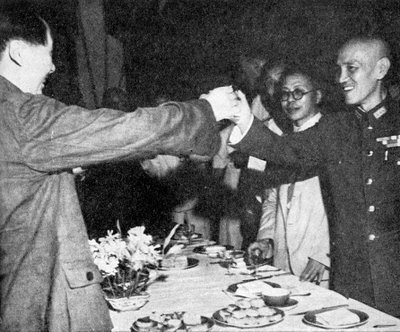 The delegation met with officials who were generally aligned with the current ruling party in Taiwan, the Kuomintang (or KMT). The panel discussion in Washington illuminated the fact that the political relationships in Asia aren’t a simple challenge defined by “alliances” and treaties. Instead, there are cultural and ethnic seams that cut through these relationships based in centuries of history, and encompassing domestic and international politics alike. The President of Taiwan has put forward a peace proposal for the conflict in the East China Sea, setting aside the question of sovereignty and instead focusing on how to share the economic benefits of resource exploitation in and around the islands. Many analysts have indicated that the plan is more of an effort to kick the can than anything else. CIMSEC friend Dr. James Holmes instead has written that “It amounts to hoping that rational calculations of economic self-interest will overrule equally elemental imperatives such as fear of future aggression or the thirst for honor and prestige.” The proposal raises a question: Why is the leadership of Taiwan trying to avoid the question sovereignty? The discussion at CNP helped shed some light on the answer, and it is likely because of those cultural and ethnic seams and centuries of history. This belief creates a strategy/policy disconnect for the KMT. Strategic-level decision making becomes difficult because the party’s fundamental political belief can be at odds with the things that will help ensure the economic, political, and military security of the island of Taiwan. 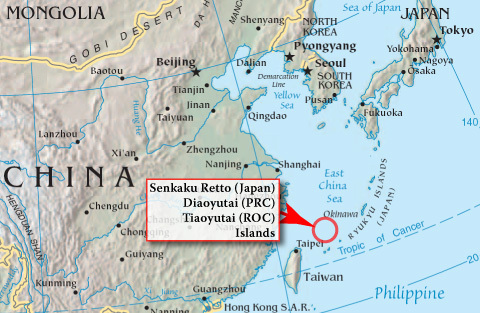 Japan is likely the ROC’s strongest ally in the region, yet on the Senkaku/Diauyo the ROC rhetoric makes it appear that they are siding with the PRC. Their fishing fleets have engaged in some unconventional tactics with the Japanese Coast Guard, similar to the work of the PRC’s maritime assets. This likely strengthens the fact that the PRC prefers the “anti-PRC” KMT over the “liberal” Democratic Progressive Party (DPP), which believes in Taiwanese independence. Is it any wonder that President Ma Ying-jeou wants to try and avoid the sovereignty issue? Japan has elected a new conservative government with military expansion on their agenda. The PRC has initiated maritime aviation patrols of the islands. 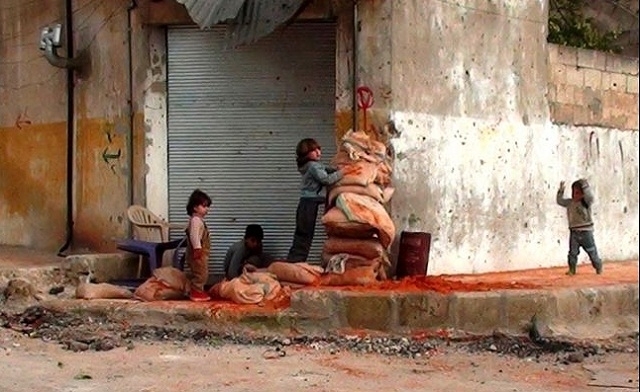 Neither side appears willing to set aside the fundamental sovereignty question in the conflict. There is a large Chinese diaspora all over the world, from the islands of Southeast Asia to the streets of Panama City to Chinatowns of most major U.S. cities. An audience member at the CNP panel reminded the gathering that there is a strong belief in all these places that the Diaoyu are “Chinese” – the political system that controls them is irrelevant. The history of the Pacific and the military and political conflicts between the Chinese, Japanese, and the states of Southeast Asia go back centuries. These cultural realities make the Pacific a complex place. If the U.S. military thinks that trading the tribal cultures of Southwest Asia for the centuries of history in East Asia will make things simpler, it needs to rethink things. Will hoping for modern ideals and economics to overwhelm centuries of culture and history work any better in Pacific waters than it did in Middle Eastern sands? The Firm of Maynard, Cushing, & Ellis does not represent the opinions of anyone that matters. Formed by Lieutenant Robert Maynard RN, Lieutenant William Cushing USN, and Captain Pete Ellis USMC, the firm doesn’t speak for the US Government, the Department of Defense, The Foreign Office, the Department of Housing and Urban Development, or the Department of Silly Walks.